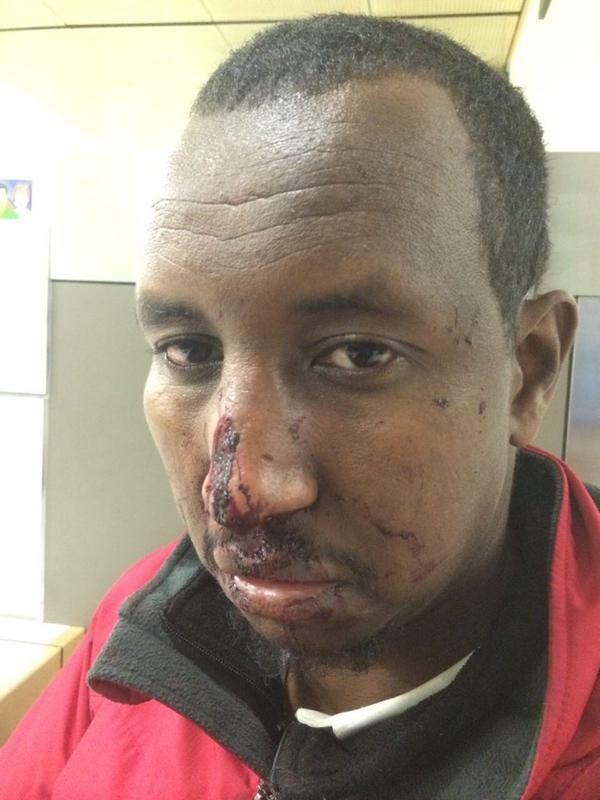 DTT: A Muslim cab driver was punched repeatedly in the face, and called a ‘terrorist’ by sailor. The Seatle cab driver said he was punched repeatedly non-stop in the face while he was driving, it caused him to crash his taxi into an apartment building, and he says it was because of his religion. The Police arrived at the scene and arrested the sailor on suspicion of hate-crime. Mr. Gaal says that the fight started when Fleming gave him his credit card and when the transaction was taking too long. He got angry. Fleming should have closed the door for Gaal, instead the sailor jumped in the front seat next to him and started punching him non-stop. This Adam’s Gaal’s bloodied face after the attack. Good news today – the sailor, Jesse A. Fleming, who attacked Mr. Gaal pleaded guilty. He is facing 3 to 9 months in prison.